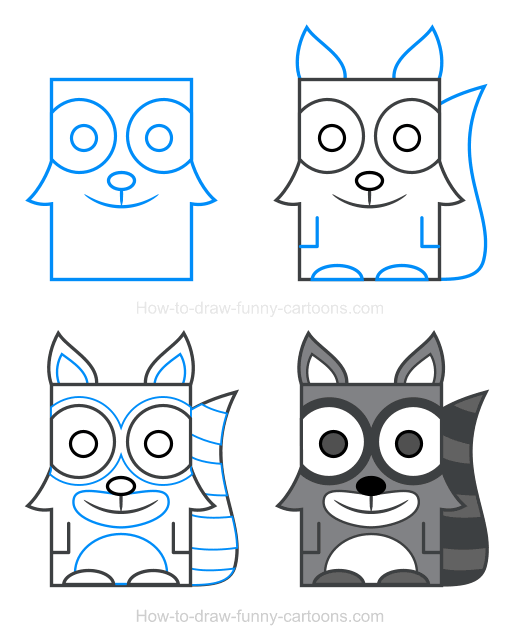 Create a cute raccoon clipart made exclusively from basic elements using only four steps and a pencil. 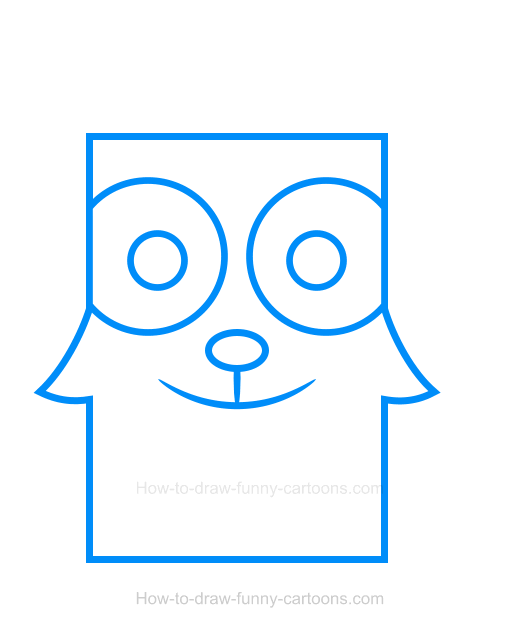 Of course, you can also do just like a did and use a vector application to create this adorable cartoon character. Not only will it be easier to end up with something visually appealing, but the path to get there will be much simpler. Alright! 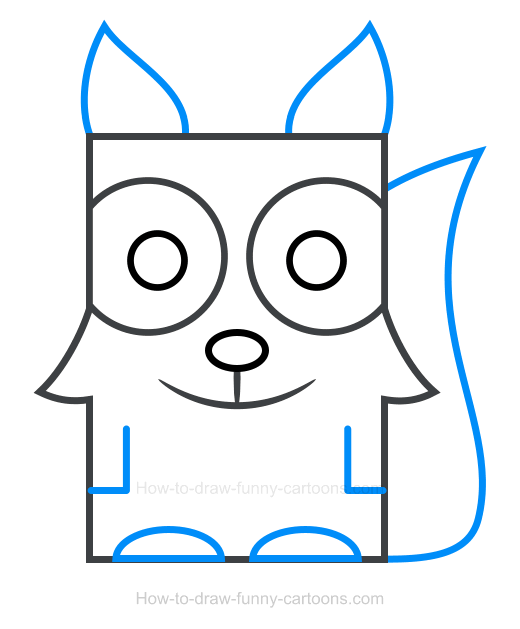 Let's start by creating a large rectangle to form the body and the head of the raccoon. Don't forget to add small triangles made from curved lines on both sides of the head to create the cheeks. Then, you can work on the facial features by sketching two large circular shapes to represent the eyes. The pupils are done from smaller circles. The nose can be done using a small oval shape while the mouth is sketched using a curved line. Don't forget the small straight line that is connecting the nose and mouth together. Next, you can draw the ears using triangles made from pointed lines. A long tail done using curved lines can also be drawn as shown below. The arms are created from straight lines. Finally, you can complete this step with the creation of the feet using curved lines. This last step before adding colors is also loaded with details. Let's go through them one at a time. First, draw some patches inside the ears using curved lines. Then, draw large patches around the eyes, around the mouth and on the stomach. Complete this step by adding large stripes on the tail of this raccoon clipart. Adding colors is relatively easy. Indeed, raccoon are mostly filled with black, white and grey colors. For the body and the ears, a light grey color can be used. The patches inside the ears, around the mouth and on the stomach can be white. The nose is black while the tail is filled with dark grey colors. Excellent! 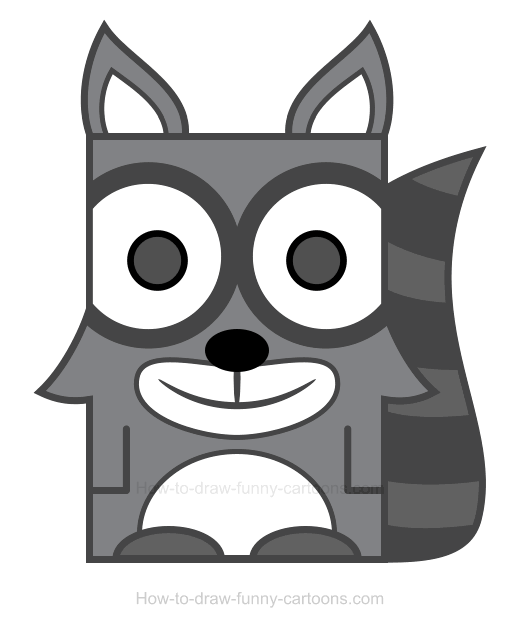 You can now enjoy a cool raccoon clipart!